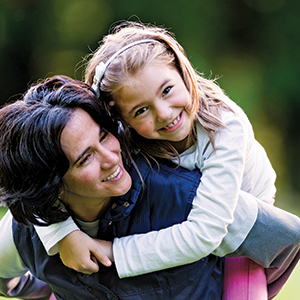 At JFCS, helping people successfully meet life’s challenges is part of our enduring tradition. Among the many services we offer is individual and family counseling in each of our regions: San Francisco, Marin, Sonoma, and the Peninsula. Knowledgeable about the best practices in the mental health field, our clinicians take a practical approach to helping clients with their particular concerns. Our multidisciplinary team includes licensed clinical social workers, marriage and family therapists, psychologists, and psychiatrists. Areas of Expertise: treatment for children and adolescents with anxiety, depression and challenging behavioral problems, or who have experience trauma or separation. Areas of Expertise: treatment for adults, couples, and families experiencing anxiety, depression, trauma, life and career transitions, separation, divorce, and loss and grief. Treatment of attachment and relationship issues. Specialties include: Acceptance and Commitment Therapy, mindfulness based cognitive therapy, Emotionally Focused Therapy, Positive Parenting and Co-parenting support. Areas of Expertise: early child (0 – 5), latency-age child (6 – 12), adolescents (13 – 17), and families: anxiety, depression, impact of family adjustments or trauma, disruptive behavior, anger, conflict, adoption/attachment issues. Psychological assessment and testing for learning issues, attention and memory challenges, and emotional functioning. Areas of Expertise: therapy with children and adolescents who are acting out in home, school, or in the community, childhood bereavement, children of divorced/separated parents. Areas of Expertise: counseling and case management services to children, adults and seniors. Areas of Expertise: psychotherapy for adults with depression, anxiety, posttraumatic stress disorder, other disorders, family stress due to caregiving for seniors or children with mental health and/or substance dependence issues. Children, adolescents, families: children with special needs, school issues, depression, anxiety, grief, single parenting, adoption parenting issues, life transition issues. Child and adolescents therapist specializing in child anxiety, depression, self-regulation, and internet addiction. Children, adolescents, and families: effects of substance abuse and family conflict on teens, co-dependency issues, depression, self-esteem issues, individual and group therapy. Children, adolescents, and families: anxiety, conflict, anger, oppositional behavior, trauma, social skills, and family transitions; individual and group therapy. Provides psychotherapy and coaching to children, adolescents, and families regarding eating disorders, substance abuse, depression, anxiety and trauma as well as creative growth.